An electronic signature - also known as an “e-signature” - is a simple, legally-binding way to indicate consent or approval digitally. While legally valid and enforceable in nearly every industrialized country around the world, some countries may have different laws when it comes to e-signatures. 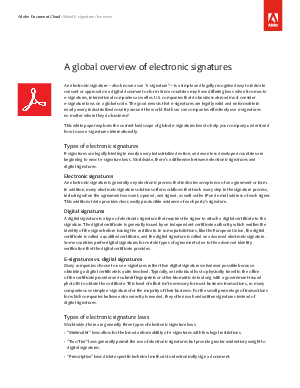 International companies as well as U.S. companies that do business abroad must consider e-signature laws on a global scale.